Students expand their place value understanding to multi-digit whole numbers. Read and Write Numbers Worksheet focuses on reading and writing multi-digit whole numbers up to a million in various forms; like base-ten numerals, number names and expanded form. While reading and writing number up to a million, students also need to work with comma, to separate the intervals (thousand, hundred thousand and million). 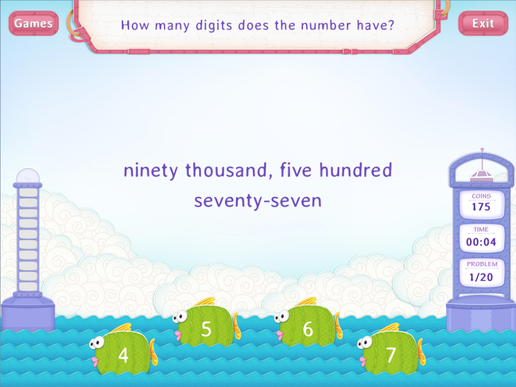 4.NBT.2Read and write multi-digit whole numbers using base-ten numerals, number names, and expanded form. Compare two multi-digit numbers based on meanings of the digits in each place, using >, =, and < symbols to record the results of comparisons.